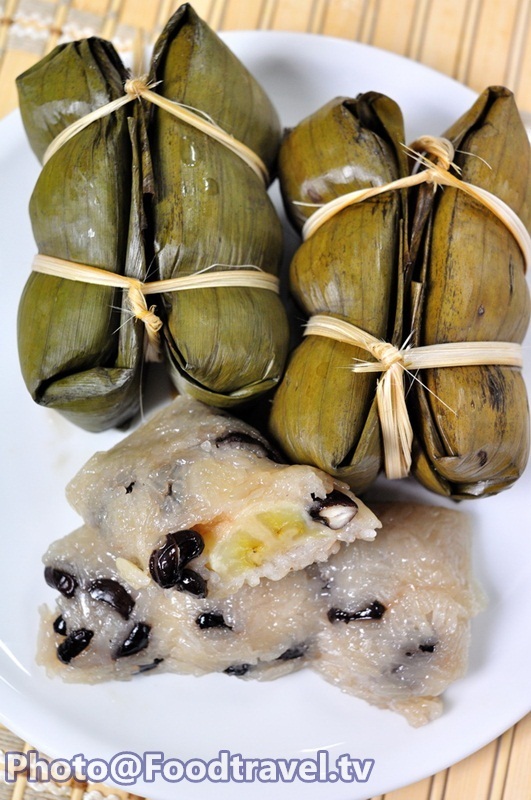 Thai Banana in Sticky Rice - Bananas in sticky is a bunch of folk wisdom that can be an excellent resource. Thailand grown a lot of bananas and we can get a lot of benefited from them. Such as this delicious dessert. 6. Banana ripening five children. 1. Fry sticky rice, coconut milk, salt, sugar, beans and stir well together in a pan until dry. Set aside to cool. 2. Cut banana into four parts. Place small banana leaf on the bigger one. Scoop 1 Tbsp. rice into it. Spread the rice out and put 1 piece of banana on it, follow with 1 tbsp. rice. Wrapped with banana leaves. And do the same again for one more layer. 3. 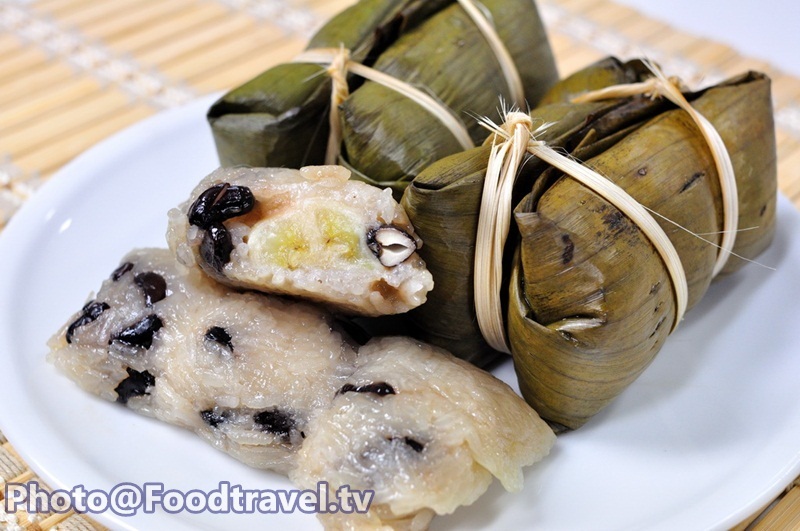 Bring two pieces of wrapped rice sandwiched together. Tie firmly with thin bamboo strips. Steamed with high heat for 30 minutes and set aside to cool. Ready to serve.